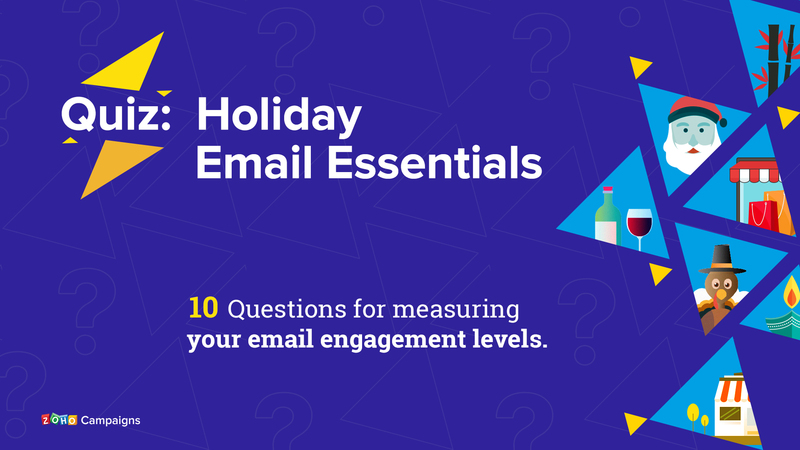 Ask any email marketing expert and they’ll tell you this: the success of your email marketing campaign depends on the health of your mailing list. The reasons are simple. It’s your subscribers who have chosen to receive your content. It’s also your subscribers who later become your customers and generate revenue for you. That’s why it’s important that you keep growing your subscriber base. There’s another reason as well. It’s said that mailing lists degrade about 22% every year. Some people change their email addresses, others move companies and a few others opt-out of your lists. One of the easiest ways that you can grow your list is by adding a subscriber form in your blog, website or social media sites. And with the updated sign-up forms in Zoho Campaigns, you not only get easier and more template choices but you also get new ways to track the progress of every subscriber. Every form must match the design of your website or blog. 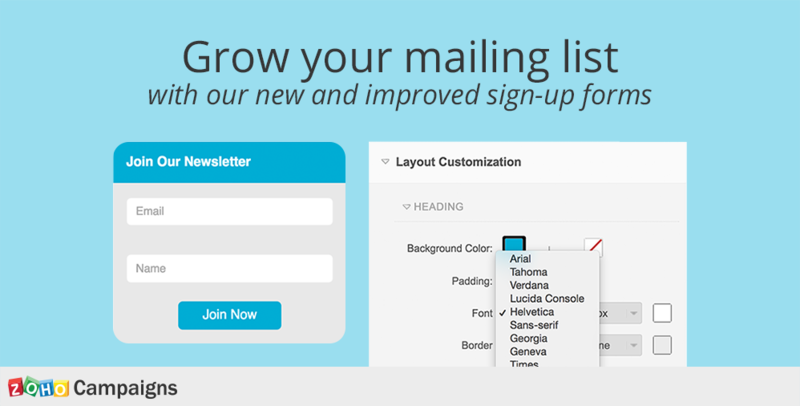 With the new customizable templates you can ​create a form that best fits your website design. You can also add these forms to your template library so that you can reuse them in the future. Let’s say you want to add a form to both your blog and your website’s homepage as well. With the new tracking feature you can use a single form in both these pages, and also determine which page draws more subscribers for your campaigns. You can take further actions too. For example, if you want to target a campaign to those who have recently subscribed through your blog only, the tracking of those subscribers will be automatically pushed to a new field in Zoho campaigns. This allows you to create a new segment for that audience. This will also help you in your website A/B tests. You can use a single form in 2 different variations of your page and track the performance of each form. We’ve included more tools for list growth so that your list is accessible no matter how your subscribers are viewing your sign-up form. You can add a form to your website ​as a subscription button, ​QR code, a shortened URL or simply display the form itself within your website design. These tools can be used ​on your Facebook pages as well. ​Encourage your prospects and customers to subscribe to your mailing lists right from your Facebook business page. While creating your form in Zoho Campaigns, you can automatically ​publish it to Facebook right from within your Zoho Campaigns account itself. If you’re a marketer who uses email marketing to grow your business, then growing your subscriber base is one of your major goals. 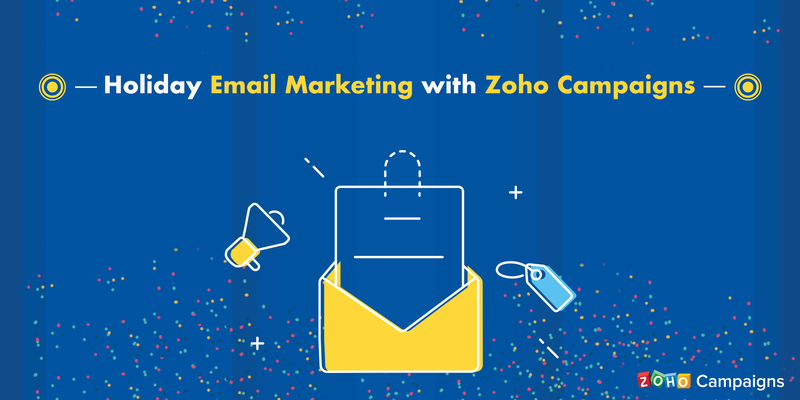 We hope that you take advantage of the fresh sign-up forms available in Zoho Campaigns and continue to grow and maintain your subscriber base for your campaigns. we’ve been trying to inquire about one of Zoho’s campaign service but haven’t gotten a clear response from anyone as yet!! This is regarding setting up seamless drip campaigns. Would you be able to help!!? Did you ever receive a response to your inquiry? Just wondering if this might be helpful for my organization as well.